Just got to tell you about my new 3 month long, very supportive, Bolt-To-Success weight loss program. This is the program you do when you are fed up with diets, calorie counting, shakes, special foods and boot camps. If you have lost weight and put it back on numerous times and are still overweight this is for you. 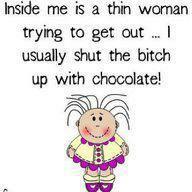 If you can’t be bothered with diets this is for you. It is fun and different! People report how easy it is and how much happier they are. There are 5 really supportive face to face or skype consultations, clear online modules including my 5 on-track hypnosis audios, EFT videos, and a journal. And there’s caring responsive email support. This covers anyone world wide. If you want to lose weight you will find this is different from anything you would have done in the past and you will find it fun and satisfying. You can read more here, email to book a free 30 minute phone/skype consultation to find out if this might suit you. Every now and then I like to promote local Hertfordshire businesses because I know the owners well and can recommend them with absolute confidence. The Wyndham Centre for healing is one of these. Alison Wyndham set up this safe place 30 years ago with a variety of practicing therapists. As well as being a physiotherapist herself she helps people discover if they have food intolerances, or allergies, and sets an individual programme for them to overcome these. Often people with IBS and weight loss problems have intolerances and can make a good recovery when they are treated. An addition to Alison’s repertoire is her Alternative Weight Loss Programme which looks at, and tests, specific digestive problems relating to bloating, and blockages to weight loss. And, she has added a new product to her range – the herbal based body slimming wrap. I am told that it detoxifies, tightens, tones and firms where it is applied to the skin. It minimises the unsightly appearance of cellulite and skin slackening. She says the results can be dramatic. Sounds so good I think I will try it out! My new hypnotic audios will work so well with this programme and together they will help people who want to lose weight, lose weight. ing from a distance and wishing they would deal with it? Are you embarrassed about having visitors in the house, or going away on holiday with your snorer? Well, I have news for you. The new stop snoring audio is now available. Click the photo for more. It is in both mp3 and CD. You suggest your snorer needs help, you tell them it is simple. They listen in bed, when they are ready to go to sleep, straight from an ipod or listening device of some kind. All they have to do is put the headphones in and listen. At the end they discard the headphones, roll over and go to sleep. Simple! They are in bed anyway so it’s easy. They have nothing to lose except the sound, and much to gain with a happy, rested, household. You will get your sleep. Snoring is caused by fatty tissue slightly obstructing the passage of air through the throat. 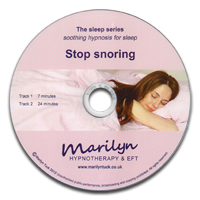 This pleasant hypnotic audio works to tighten the muscles around that area, and also brings awareness of when snoring starts so they can turn themselves over and sleep quietly on. Listening details are included. We know that snoring is more common in those carrying extra weight or after a night out drinking. However, in some cases the fatty tissue is so pronounced that the air is blocked and every so often the breathing stops. This is called sleep apnea and should be discussed straight away with your Doctor. Perhaps you have some work to do over the Easter break, perhaps you have exams very soon. Are you getting bogged down with revision, not knowing where to start, procrastinating, doing anything except what you should be? Maybe you are feeling overwhelmed, is it a hard subject, perhaps life is getting in the way… Is it all just too difficult? Other people will say they managed theirs fine, they say all you need is to do some reading, and focus. Well, that’s fine for them to say, it doesn’t help, they don’t have your problems. It can be all very stressful. Had you thought about hypnotherapy? It is particularly helpful for study and concentration. You explain what you want and then relax back gently day dreaming in a light trance while you are given a really positive boost to help you feel more alert and motivated as soon as you awaken. People love it. So, think for a minute; if you were really focused right now just think how well you could get your work done. And because you would be organized the work you complete could be exactly what you planned, or even much better. On the other hand if you carried on the way you are, well you just might be doing it all at the last minute, totally stressed out and tired, and hand in something mediocre, then stress out more waiting for the results. Would it be worth an hour or two of your time to get yourself in the right frame of mind, uncluttered and clearer? Would you like to give yourself the opportunity to get better results? Well, why not! Vicki did and she said. Just two consultations will move you into your study, referencing, writing and concentrating immediately. No more procrastinating, just getting on and getting the work done. I was going to feature these here on my blog weekly, to show progress, but hey, it takes some time to do this and when I am seeing loads of clients and spending all my spare weekends planning, recording and editing an audio for delivery every Tuesday, there isn’t really enough time. So, I have decided to do quick short and sweet updates, such as this. Do you like my little picture here? It is often so true. You are currently browsing the archives for the Hypnosis MP3 and CD category.